Even empty, it blooms. 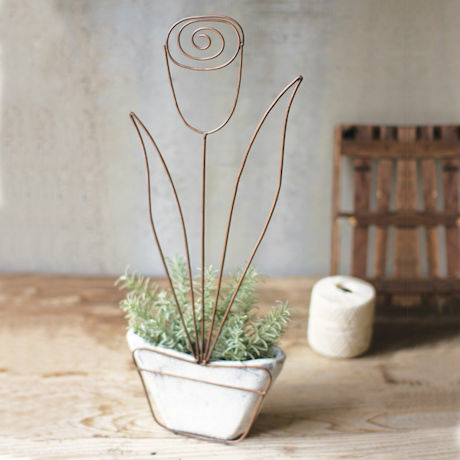 Tall tulip is copper-finished wire. 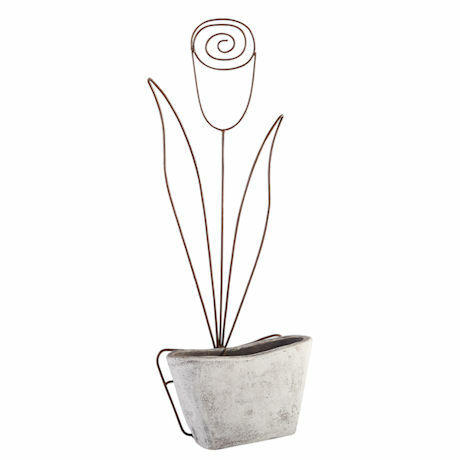 Organically-shaped pot is whitewashed clay, ready for flowers, greens, or whatever suits your fancy. 8"w x 2¾"d. Pot is 5" high, overall height 22".